Writing takes so many different forms that trying to settle into a niche can be a challenge. 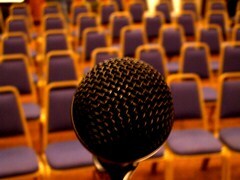 Finding your writing success often begins by unlocking your writing voice. Most of us have words or thoughts that we just want to share with the world, but we have to understand just who it is that we are speaking to if we want to begin to formulate what we want to say. I met a writing friend online that shares that desire. Her journey to a writing career spans decades but shows us that if you continue to push then you can discover the path. 1946, a few days before my sixth birthday, I landed in Stanleyville, The Belgian Congo. I remember the palm trees flying by as our old propeller plane taxied down the dirt runway. We stepped out into muggy heat as we crossed to the terminal. Will this same promise also holds true for Kondi in Kondi’s Quest? Will God be close to her in all her troubles and her efforts to please God and her earthly father? Will she learn that living for God meant He was with her – even when He seemed to be distant? Sylvia has found a home (at least for the moment) crafting stories for those in the most formative years. What story do you have to share? Have you pictured who might be reading your words? 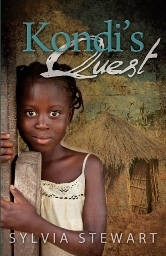 Share some of your journey with us here and you will be registered to win a free copy of Sylvia’s book, Kondi’s Quest. 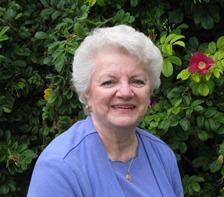 Visit Sylvia at her website.